Motherhood is hard work. You start out cradling this tiny, amazing human that is completely your responsibility. Then you find yourself running after little chubby toddler legs as they sprint as fast as they can toward the most dangerous thing in the room. This stage is soon followed by the “I can do it myself” phase, where you find yourself constantly cleaning up spilled milk and scraping glue off the floor. And, that’s only the beginning! Because, then the little tiny human decides to keep growing and growing until eventually he or she becomes a grown man or woman - and how are we supposed to handle it when all of a sudden we have no say in their lives? It’s just hard. 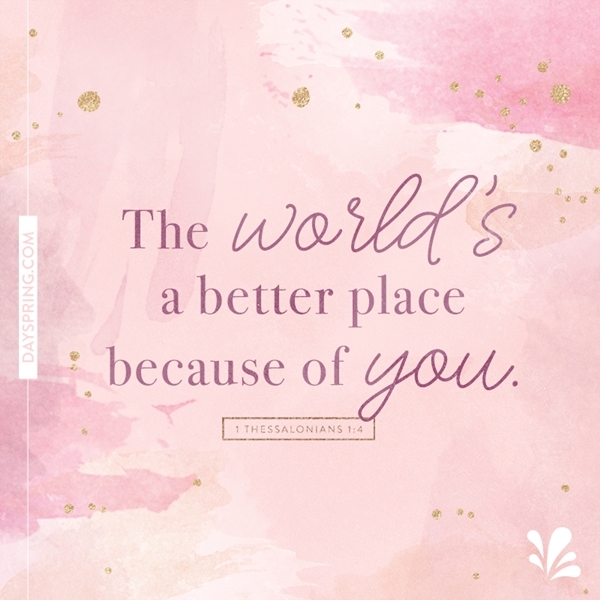 That’s why, at DaySpring, we want to encourage you to lift up all the moms in your life - from the one you call “mom” to your friends, co-workers, sisters, neighbors and so on and so on. To help, we asked several DaySpring staffers to let us know how they encourage the moms in their lives. We hope these questions and answers will give you some ideas on how to lift up your friends during each season of motherhood. What is your favorite way to bless a new Mom? Have you found a good way to comfort the overwhelmed mothers in your life? How would you comfort a friend who recently lost her Mom? Do you have a friend who has felt the pains of empty nest syndrome? How have you encouraged them? Do you have any friends who have strong feelings of mother’s guilt? How have you encouraged them? If not, how would you encourage them? Do you have any friends who have symptoms of Perfect Mom Syndrome, feeling as if they’ll never be worthy enough to parent? How have you encouraged them? If not, how would you encourage them? It is our hope that you will take a little time today and think through some ways to encourage all the super moms out there - lift up the young mothers in your church group, help the mom of three struggling in the grocery store or simply send an encouraging Ecard to let your friend know she’s doing a good job. After all, God calls us to reach out, even when it’s uncomfortable, to lift each other up and to “carry one another’s burdens” (Galatians 6:2). And since we know that motherhood is a hard job, let’s make sure to lean on each other and God’s Word throughout the joyous, amazing, yet sometimes difficult journey called motherhood. Why Are We Called to Encourage? Don't forget to encourage all the super moms in your life!